This will be the first time that the brother-sister duo will be sharing a video platform together. 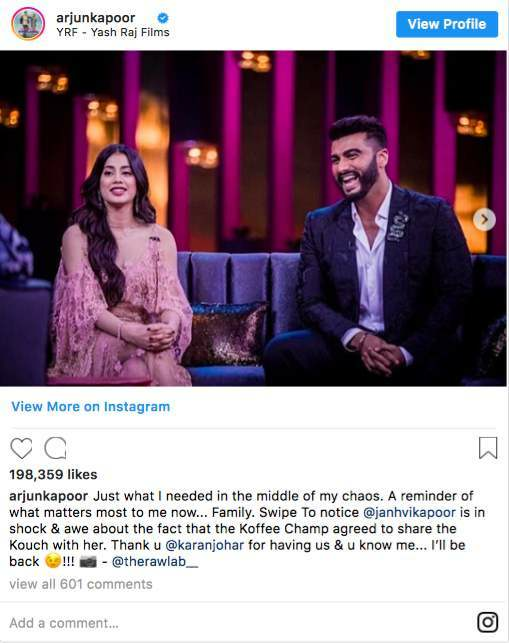 Host Karan Johar took to his Instagram account to make the announcement with a picture of the siblings looking their stylish best as they strike a pose for the camera. 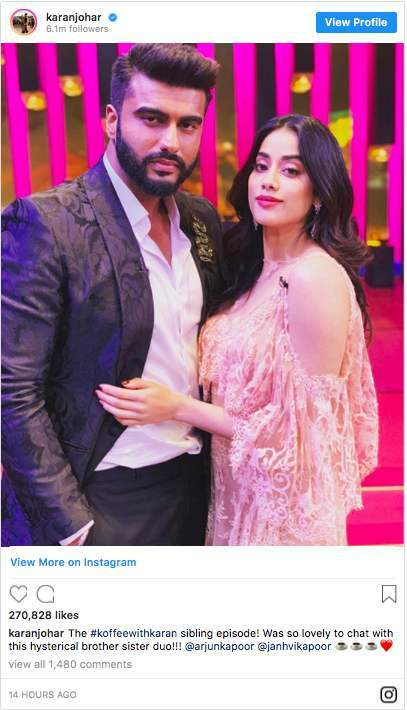 While Janhvi can be seen wearing a cold-shoulder dress, Arjun looked dapper in a black tuxedo. On the work front, Arjun is all set for his upcoming romantic-comedy ‘Namaste England’ opposite Parineeti Chopra. Directed by Vipul Amrutlal Shah, the movie will release on October 19, this year. 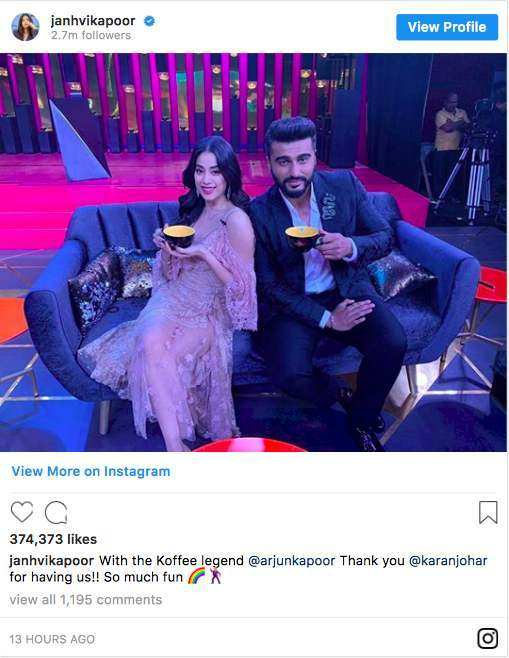 Janhvi, on the other hand, has bagged a vital role in Karan Johar’s upcoming directorial Takht. The period drama also stars Ranveer Singh, Kareena Kapoor Khan, Anil Kapoor, Bhumi Pednekar and Vicky Kaushal in the lead roles. 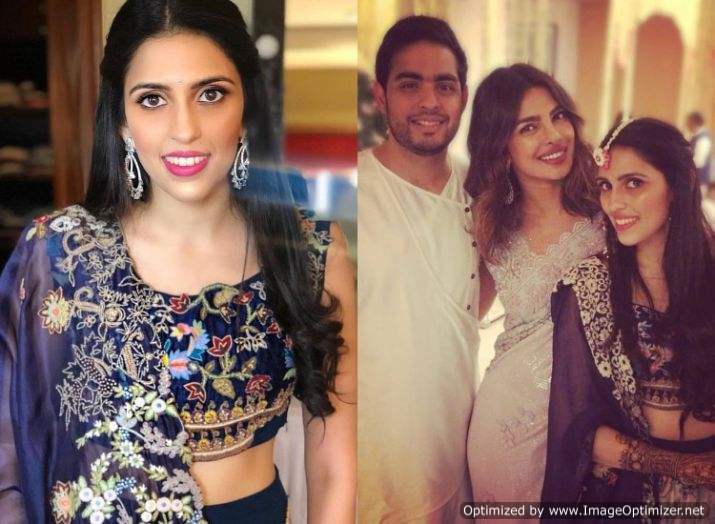 INSIDE Pictures From Akash Ambani & Shloka Mehta’s Mehendi Function! Previous story LATEST! Ranveer & Deepika Are Super Cute As They Dance Together In This Video!